When a frat boy shockingly dies, Liv (Rose McIver) and Detective Babineax (Malcolm Goodwin) have to investigate the fraternity for leads. After eating his brains, Liv lives out her best (or worst?) frat boy tendencies at a party making looking for clues difficult. Meanwhile, Ravi (Rahul Kohli) enlists Major (Robert Buckley) to help find a cure and Blaine meets up with the mysterious Angus (Robert Knepper). iZombie airs tonight on The CW. Liv's latest brain is good for a lot of laughs. ?iZombie is new Tuesday at 9/8c! Executive Producers Rob Thomas and Diane Ruggiero-Wright tease new twists for Liv. 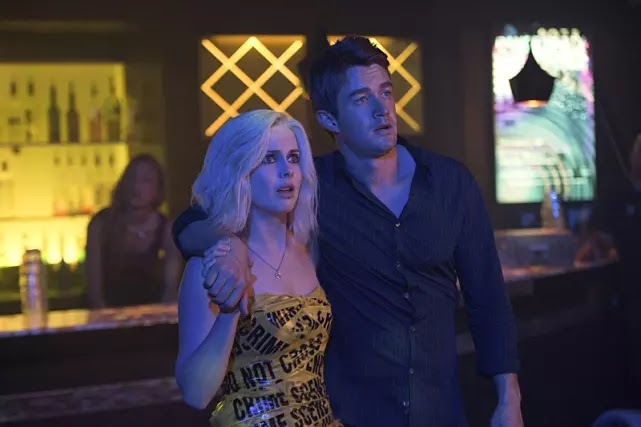 iZombie is new on Tuesday at 9/8c.